After merging with Starwood Hotels to become the world’s largest hotel portfolio, Marriott International engaged Mother Design to create a new global loyalty brand with a substantial challenge: combine Marriott Rewards, Starwood Preferred Guest, and Ritz Carlton Rewards under a new name and identity, and connect 100 million members, 30 brands, and 6500 properties worldwide. 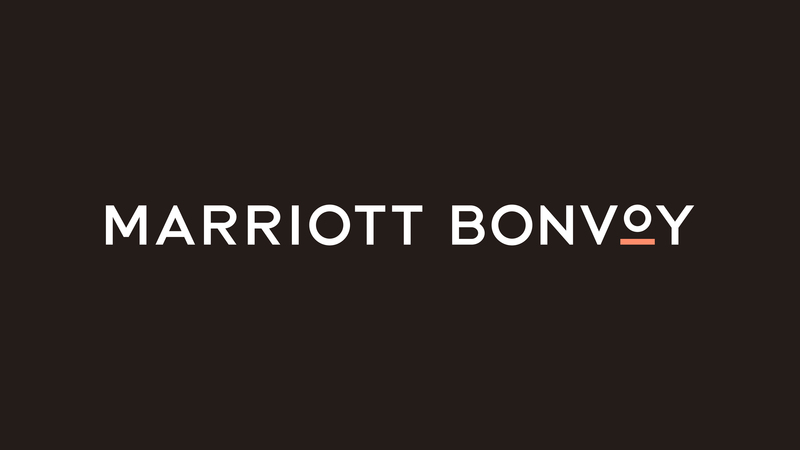 Close collaboration with team members across Marriott determined a benchmark ambition for the new brand: make a vast, multifaceted offering feel inviting and effortless, while setting a new standard for loyalty that feels less like a currency and more like a companionship. 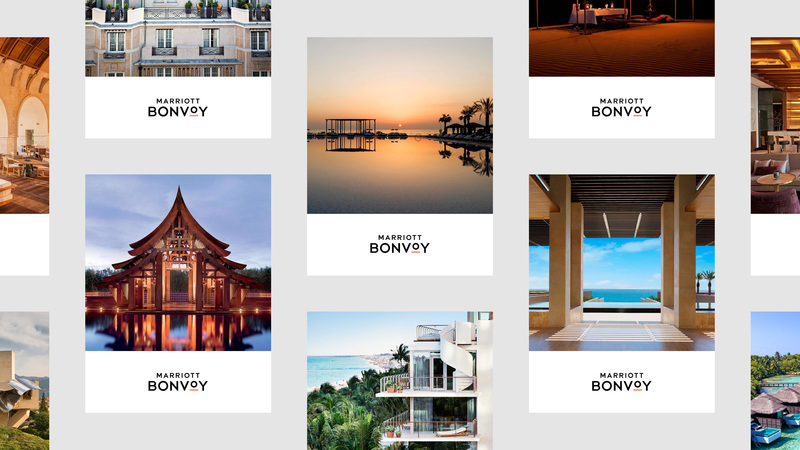 We created Marriott Bonvoy, an elegant yet intuitive guide to the Marriott portfolio. 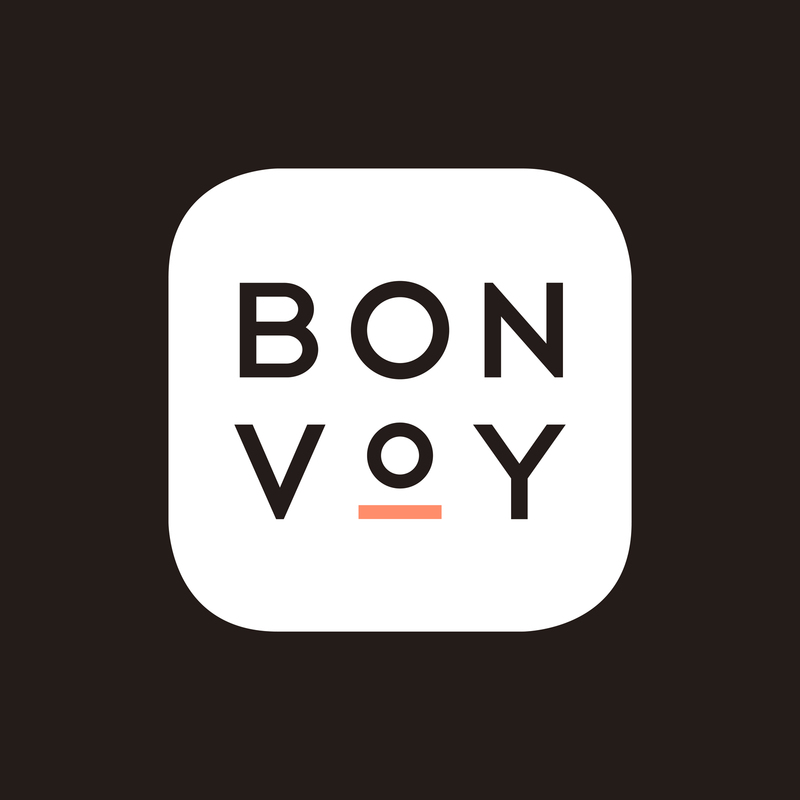 The name Bonvoy evokes travel and salutation, and was born from an extensive process of global linguistic and cultural exploration. 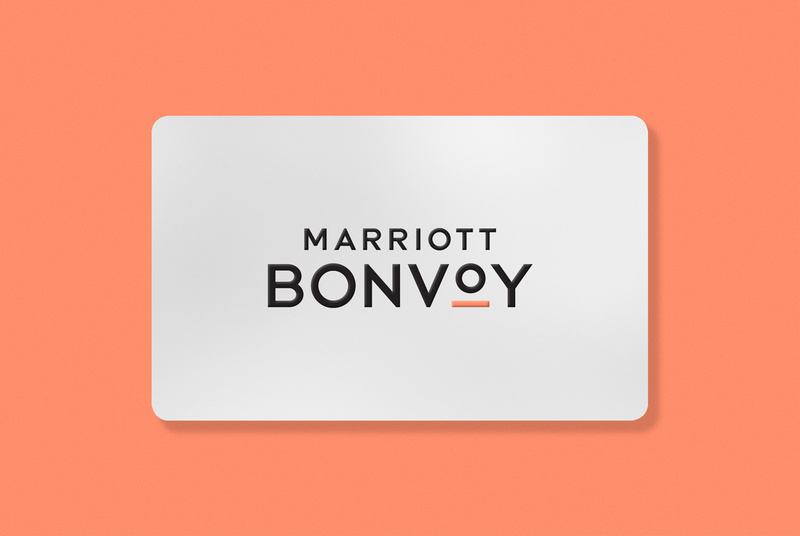 It informs a program-wide approach to nomenclature, including the suite of new credit card offerings like the Marriott Bonvoy Bold, Boundless, and Brilliant cards. The identity was engineered to be equal parts efficient and inspiring, making it easy to get the most out of a world of travel opportunities. 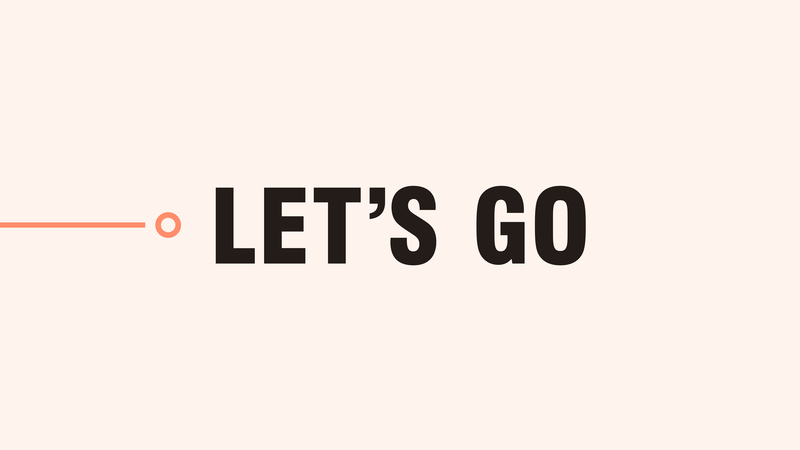 The horizon-inspired logo becomes a dynamic nucleus of the brand, informing a variety of gestures that make connections, highlight information, and encourage movement. 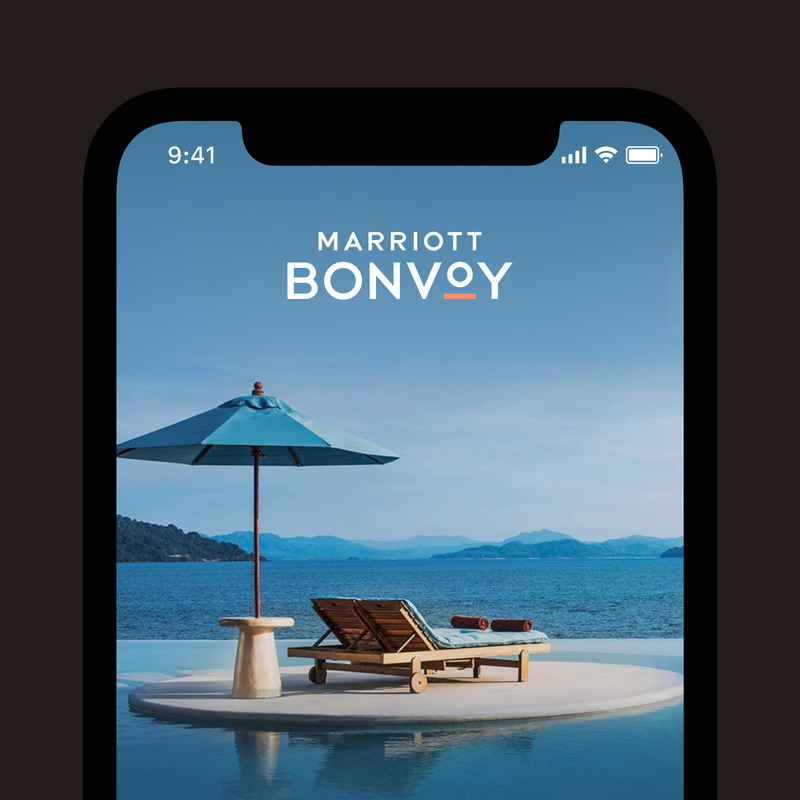 Those unique motion components and a carefully crafted sonic identity round out the full scope of a simple yet robust brand that will engage with a huge number of hotels, partners, people, and cultures worldwide. 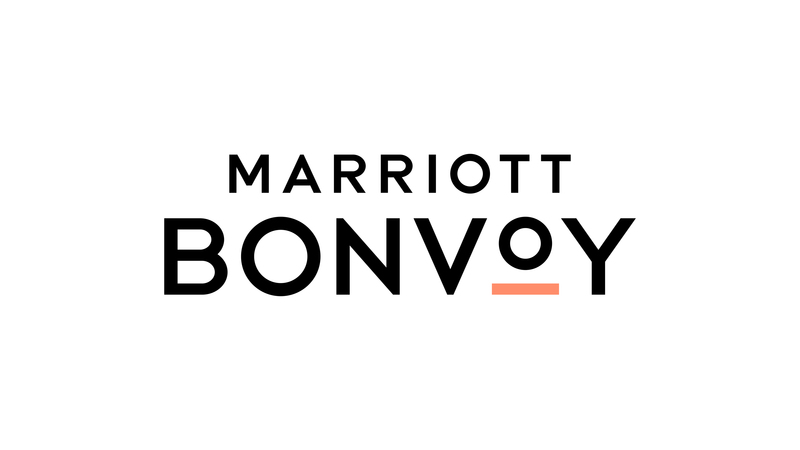 Marriott Bonvoy represents an exciting new chapter for the world’s largest hotel group; Mother Design is excited to continue partnering with Marriott in bringing the brand to life.